Orlando Hewitt’s foray into regional consultancy commenced in June 2013 when he was recruited as a Senior Associate of Dunn Pierre Barnett and Associates, to conduct and report on facility audits in eight Caribbean countries and to identify and recommend tools and equipment as well as associated costs for respective workshops and labs, as part of the Caribbbean Trade and Competiticveness Project. Prior to working as a Consultant, he spent twenty-three years with the HEART Trust/NTA (Jamaica) with the last ten of those years working in Quality Assurance at the NCTVET. As a Quality Assurance Specialist he guided numerous TVET institutions towards receiving NCTVET Accreditation for their respective vocational training programmes and worked as a Lead Auditor in conducting evaluations and special audits of institutions and their programmes. 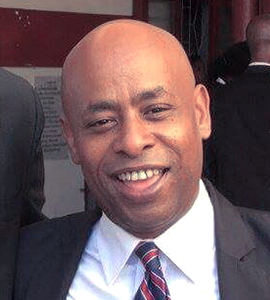 In 2014 he was assigned as the Qaulity Assurance Technical Officer for the Caribbean Association of National Training Authorities (CANTA), where he worked relentlessly to improve capacity building in Quality Assurance for personnel from respective NTAs within the region, as well as guiding four (4) NTAs to receive CVQ Accredited status from CANTA and COHSHOD of CARICOM. He was also instrumental in preparing CARICOM’s Quality Assurance Criteria and Guidelines for the Caribbean Vocational Qualifications (November 2015). Capacity Building in Quality Assurance – Establishment of the Suiname National Training Authority. Orlando Hewitt holds a Master in Human Resource Development from UWI, is ISO 9001:2015 trained and certified as a Lead Auditor and also trained and certified in Enterprise Risk Management (ERM).